Showing a Spitfire being readied for action after the attacks by the Luftwaffe on New Years Day 1945 against the Allied airforces throughout Belgium and the Low Countries. 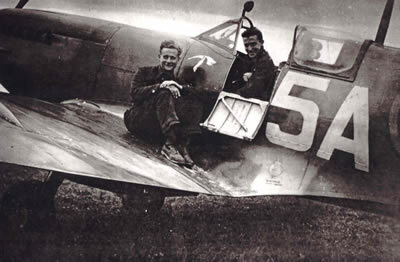 Shown above: Douglas R Gist on wing and Bert Stinton in the cockpit. 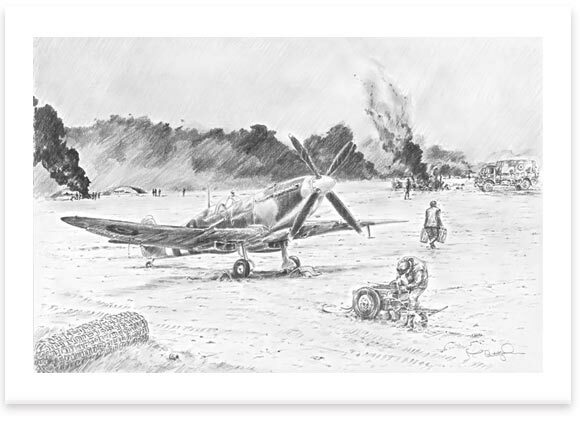 Each Print signed by two veterans who serviced the Spitfire during the campaign in Europe and were present during the operations carried out by the German Luftwaffe against the Allied airfields during operation Bodenplatte. Each print comes complete with photographs and background biographys of the veterans. Prints are signed by Frank Tyrer and R Gist.